and Music Direction by Andra Velis Simon. Porchlight Music Theatre’s Mainstage 2018 – 2019 season continues with 2014 Tony Award-winning Best Musical A Gentleman’s Guide to Love & Murder, January 25 – March 10, 2019 at The Ruth Page Center for the Arts, 1016 N. Dearborn Street. A Gentleman’s Guide to Love & Murder stars Matt Crowle and features Music by Stephen Lutvak, Lyrics by Robert L. Freedman and Steven Lutvak, and a Tony Award-winning Book by Robert L. Freedman, is directed and choreographed by Stephen Schellhardt and music directed by Andra Velis Simon. I'll be ChiILin' with Chi, IL's Porchlight Music Theatre the first weekend in February, so check back soon for my full review. Previews are Friday, Jan. 25 at 8 p.m.; Saturday, Jan. 26 at 8 p.m.; Sunday, Jan. 27 at 2 p.m.; Monday, Jan. 28 at 7:30 p.m. Opening Night is Tuesday, Jan. 29, 2019 at 7:30 p.m. The performance schedule is Thursdays at 7:30 p.m., Fridays at 8 p.m., Saturdays at 4 p.m. and 8 p.m. and Sundays at 2 p.m. (January 27, March 3 and March 10) and 6 p.m. (February 3, February 10, February 24 and March 10) with weekday matinee performances Thursday, Feb. 21 and Feb. 28 at 1:30 p.m. Please note: There are no performances Sunday, Feb. 2 at 4 p.m.; Thursday, Jan, 31, Thursday, Feb. 28 and Thursday, March 7 at 7:30 p.m.; full schedule is included at the end of the release. Tickets are $39 - $66 and are available at PorchlightMusicTheatre.org or by calling the Porchlight Music Theatre box office, 773.777.9884. Based on the 1907 novel “Israel Rank: The Autobiography of a Criminal” by Roy Horniman and the source for the 1949 British film “Kind Hearts and Coronets” starring Alec Guinness, The New York Times said A Gentleman’s Guide is “Among the most inspired and entertaining new musicals." This tour de force musical comedy tells the uproarious story of Monty Navarro, an heir to a family fortune who sets out to jump the line of succession by eliminating the eight pesky relatives who stand in his way. All the while, Monty has to juggle his mistress (she’s after more than just love), his fiancée (she’s his cousin but who’s keeping track? ), and the constant threat of landing behind bars! Of course, it will all be worth it if he can slay his way to his inheritance…and be done in time for tea. The cast of Porchlight Music Theatre’s A Gentleman’s Guide to Love & Murder includes: Matt Crowle, “The D’Ysquith Family;” Andrés Enriquez, “Monty Navarro;” Caron Buinis, “Miss Shingle;” Emily Goldberg, “Sibella Hallward;” Ann Delaney, “Phoebe D’Ysquith;” Sharriese Hamilton, “Eugenia;” Ryan Dooley, “Magistrate;” Billy Dwyer, “Copley;” Megan Elk, “Tour Guide;” Rachel Klippel, “Barley;” Phoebe Moore, female swing and Adam Ross Brody, male swing. The A Gentleman’s Guide to Love & Murder production team includes Stephen Schellhardt, director and choreographer; Andra Velis Simon, music director, Aubrey Adams, assistant director/choreographer; Robert Hornbostel, sound designer; Jeff Hendry, costume designer; Denise Karczewski, lighting designer; Anthony Churchill, projection designer; Angie Miller, scenic designers; Kevin Barthel, wig designer; Mealah Heidenreich, props designer; Noah Watkins, assistant to the director; Linda Madonia, musician contractor; Mary Zanger, stage manager; Cody Westgaard, production manager and Bek Lambrecht; technical director. Matt Crowle is a proud Porchlight Music Theatre artistic associate. Crowle gratefully returns to Porchlight where his credits include his recent Jeff-nominated turn as “Charley Kringas” in Merrily We Roll Along and” Hysterium” (Jeff Award) in A Funny Thing Happened On The Way To The Forum. 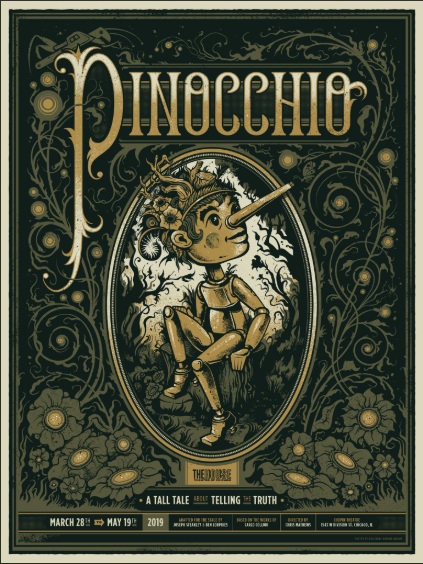 Other Chicago theatre highlights include The Santaland Diaries at Goodman Theatre; The Producers (Leo Bloom) at Mercury Theater Chicago; Mary Poppins (Bert) at Paramount; Singin’ In The Rain (Cosmo Brown), Spamalot (Patsy), Bye Bye Birdie (Albert Peterson), and South Pacific (Luther Billis, Jeff Award) at Drury Lane Oakbrook. Broadway/National Tour: Monty Python’s Spamalot and Doctor Dolittle starring Tommy Tune. He earned his BFA in Music Theatre under the guidance and mentorship of the late great Dr. Bruce Kirle. Andrés Enriquez returns to Porchlight where he was previously seen in Merrily We Roll Along, In The Heights and New Faces Sing Broadway 1939. He is an ensemble member at both Barrel of Monkeys Productions and Lifeline Theatre, where he is also the casting director. 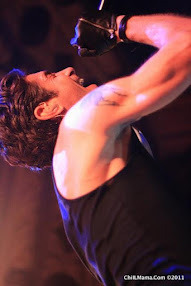 Enriquez is also proud to have worked at several Chicagoland theaters including Remy Bumppo, The Hypocrites, Fox Valley Repertory, Theater at the Center, 16th Street Theater and Lifeline Theater. Andra Velis Simon is thrilled to return to Porchlight Music Theatre, where she music directed the Porchlight Revisits productions of They’re Playing Our Song and On a Clear Day. 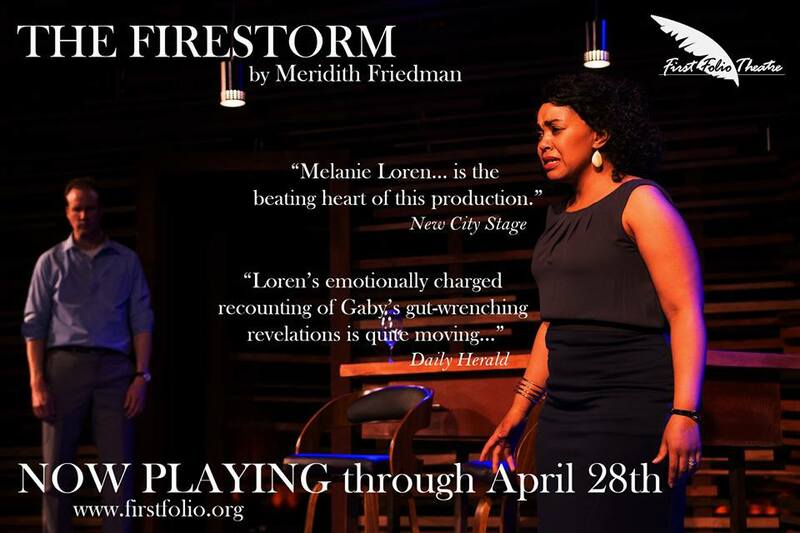 She is the resident music director for Firebrand Theatre, where she just completed their run of Caroline, or Change. She also music directed Firebrand’s inaugural production of LIZZIE, as well as 9 to 5 The Musical. Currently, Velis Simon is serving as vocal director for Steppenwolf Theatre Company's La Ruta by Isaac Gomez. Her work as a music director, adapter, arranger, pianist and vocal coach has been seen regionally at Oregon Shakespeare Festival, A.R.T. in Cambridge, Brooklyn Academy of Music, NYU’s Skirball Center, Actors Theatre of Louisville, Pasadena Playhouse and Berkeley Rep. In Chicago, she has worked with The Goodman Theatre, The Hypocrites, Theater Wit, Chicago Children’s Theatre, and many others. From 2008-2016,Velis Simon served as the staff music director for the Theatre Department at Columbia College Chicago, where she continues to teach musical theatre performance. As Chicago’s home for music theatre, Porchlight Music Theatre continues its 24th season and its second as an Artist In-Residence at the historic Ruth Page Center for the Arts in Chicago’s Gold Coast. 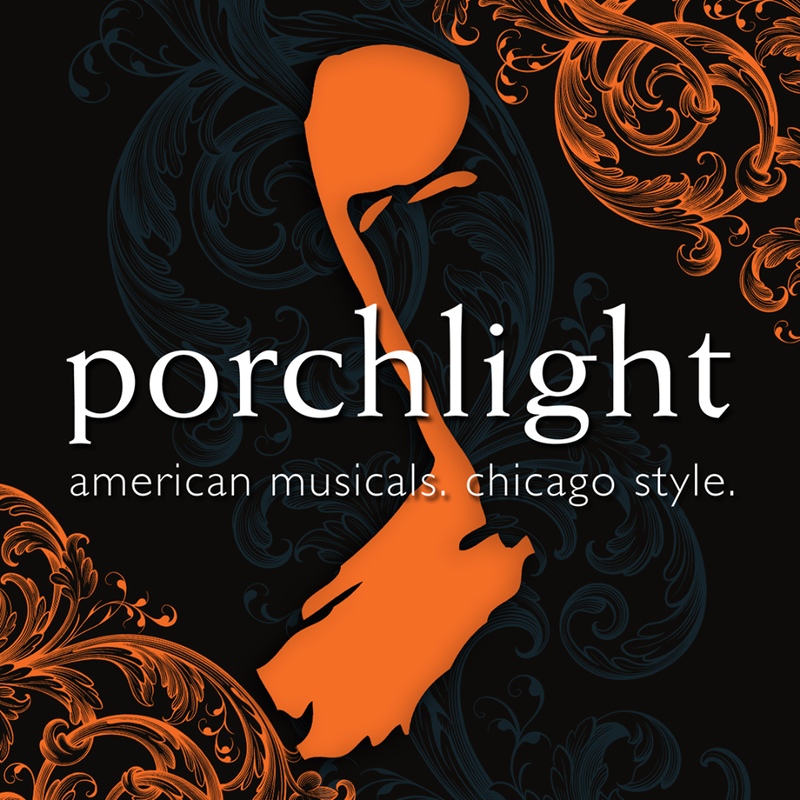 Porchlight Music Theatre is nationally recognized for reimagining classic productions, developing new works and showcasing musical theatre’s noted Chicago veterans and rising stars. Porchlight elevates the genre by providing intimate and powerful theatrical experiences of music theatre through the lens of the “Chicago Style.” Porchlight’s rich history includes the staging of more than 60 productions with 15 Chicago premieres and five world premieres. Through Porchlight’s “Off the Porch” new works program, the musicals of the next generation are developed and given a first audience. The School at Porchlight is Chicago’s center for music theatre training in the areas of performance, writing and appreciation including a youth summer “Make Your Own Musical” camp and a Saturday morning youth program. The company’s many accolades include 28 Black Theatre Alliance nominations and seven awards, as well as a total of 151 Joseph Jefferson Award nominations resulting in 42 Jeff Awards including five consecutive Best Production awards for The Scottsboro Boys (2017), Dreamgirls (2016), Sondheim on Sondheim (2015), Ain’t Misbehavin’ (2014) and A Class Act (2013). Porchlight Music Theatre is supported by generous contributions from the Actors’ Equity Foundation, Bayless Family Foundation, Abe and Ida Cooper Foundation, Chapman | Spingola, Attorneys at Law, the Gaylord & Dorothy Donnelley Foundation, Elegant Events Lighting, James P. and Brenda S. Grusecki Family Foundation, Hopsmith Tavern, the MacArthur Fund for Arts & Culture at the Prince Foundation, the Morgan Stanley Foundation, The Saints, Top Nosh Hospitality and the Topfer Family Foundation.